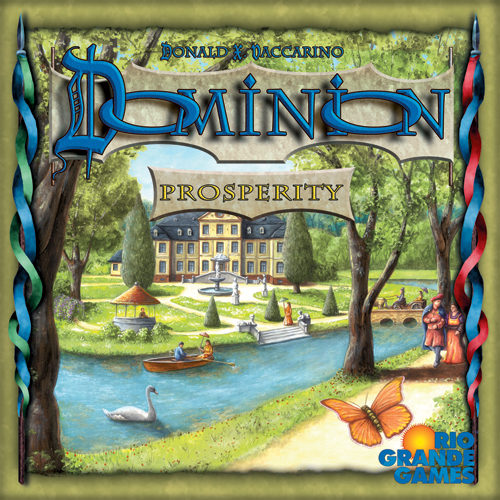 The new Dominion expansion: Prosperity, is coming soon. This set takes the already awesome game of Dominion and quite literally cranks it to 11. Look for 10 point colony cards, Platinum treasures worth 5 coins, and action cards that cost 7. I own every Dominion expansion personally, and I guarantee you that this is the best set they’ve done yet. Preorder your copy now at Canton Games and you get a double bonus. First, you get 20% off the retail price just for placing the order. Then, while supplies last, we let you pick a free promo card – either Stash, Envoy or Black Market. These exclusive cards are not for sale at any stores anywhere, and we’re giving them to you free just for buying the game you know you’re going to get anyway. So come on down to Canton Games and preorder your copy of Dominion: Prosperity today! This entry was posted on Monday, August 9th, 2010 at 1:25 PM and is filed under Uncategorized. You can follow any responses to this entry through the RSS 2.0 feed. Both comments and pings are currently closed.